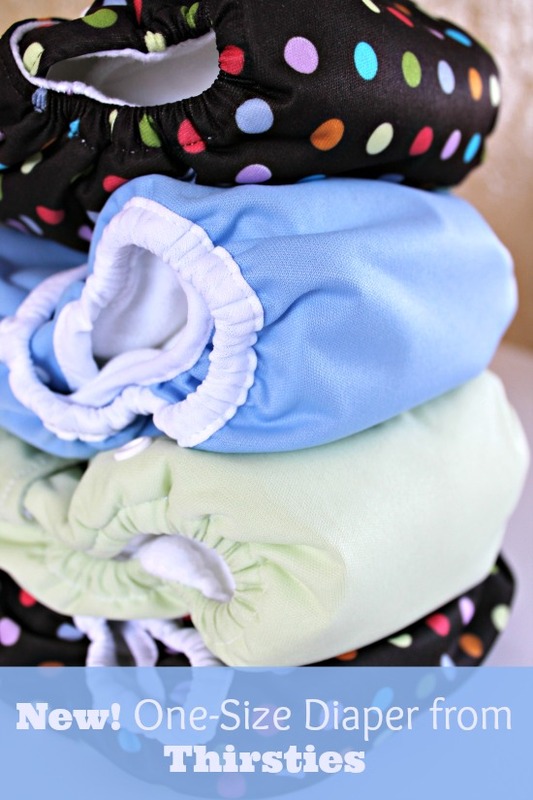 Pssst…..You’ll want to read all the way to the bottom of this post for a chance to win 2 NEW One-Size Diapers by Thirsties. You may have guessed by now but I truly love the Thirsties brand. There isn’t anything about this company and their products that I don’t love. Most importantly, they are owned by a family in Colorado and 100% manufactured right here in the USA! The only thing missing from that list is FINALLY available! A one-size diaper from Thirsties. They’ve taken some of your favorite features from the retired Duo Diaper and incorporated it into the one-size diaper. It’s designed to fit babies from 8-40lbs. Newborn insert with 3 layers of microfiber terry. Full size insert with 5 layers of hemp cotton jersey. Both inserts can be used alone or snapped together for the perfect nighttime solution. Available in both NEW hook & loop and NEW snaps. New snap configuration with 2 rows of snaps along the waist. Signature leg gussets for superior leak protection. Stay-dry microfleece liner to provide wetness protection. Sleeve style pocket with openings at the front and the back. You may be wondering how it differs from the Duo AIO and the covers. 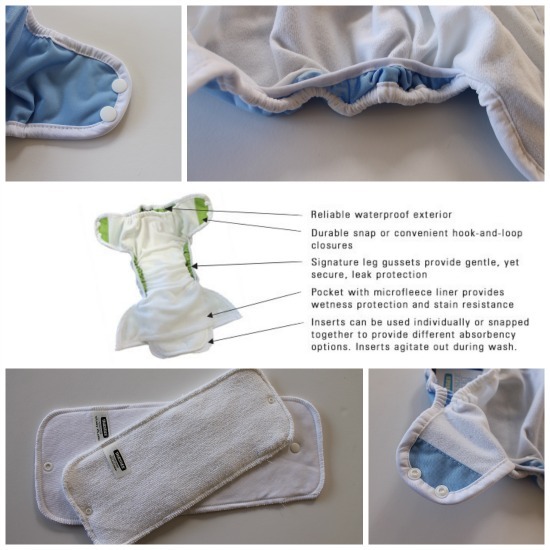 I have taken a few pictures showing some of the most obvious differences so that you can get a good idea of how this diaper will fit your baby. For smaller newborns (less than 8lbs) I would still recommend the Duo AIO or Duo cover. These will fit closer to the 6lbs range which is helpful for the first few weeks after birth. The Duo AIO measures shorter in the rise at about 14.5″ and smaller in the crotch at about 5.5″. The one-size pocket measures approximately 18″ in the rise and 6.5″ in the crotch width. There are 2 rows of snaps and 18 snaps wide for a really broad range of sizes. One thing you may notice with the snaps on the one-size is how close to the edge of the diaper they are. This will prevent the diaper tabs from curling at the edge and keep them laying flat while on your baby. 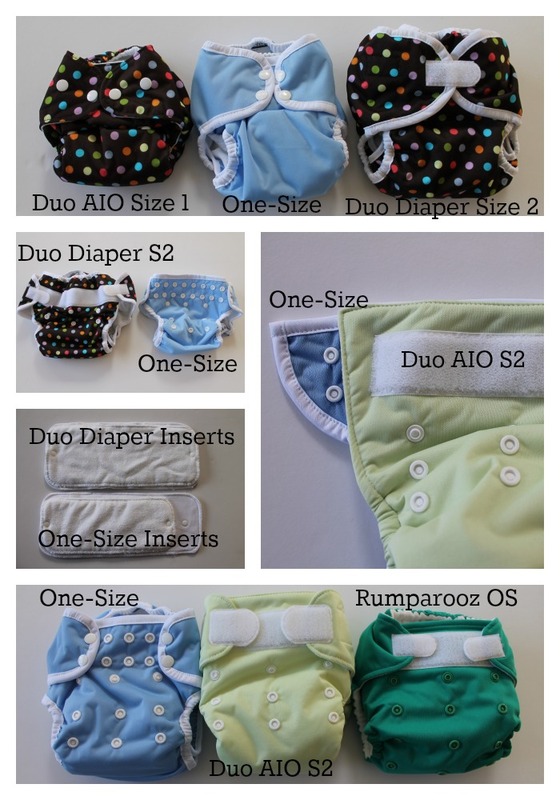 The measurements on the Duo Diaper (size 2) are about 17.5″ in the rise and about 6.75″ in the crotch width. The one-size pocket is longer in the rise but just barely trimmer in the crotch. With the Duo AIO (size 2) the rise was 19″ but the crotch was only 6″, making the Duo AIO better for taller or longer waisted babies. Available now at Kelly’s Closet and other authorized Thirsties retailers. 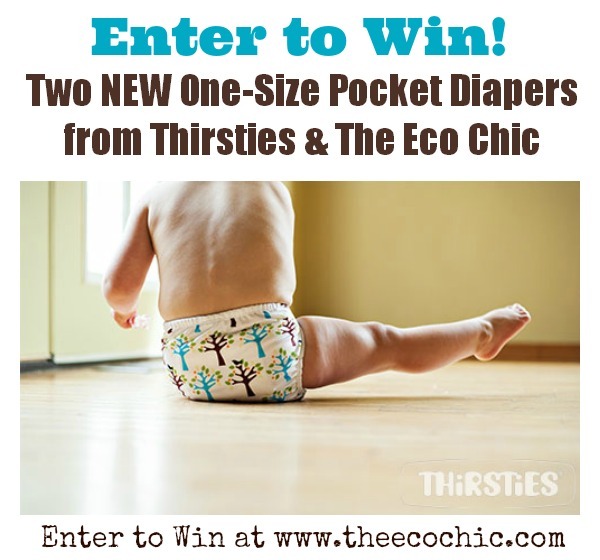 Would you like to win TWO of the brand new Thirsties One-Size Diapers?? Complete the Rafflecopter form below and you are entered to win! Be sure to visit The Eco Chic on Facebook for additional entries into this giveaway! Disclosure: This giveaway is sponsored by Thirsties. My opinions on this product and brand are my own and do not represent those of the company. I LOVE the solid mud color! My favorite is meadow. Love mango too. I do love the blackbird!! blackbird and meadow are my favorites! I like the polka dots and the plaid ones, so cute! Mango is bright and happy. Green and black with polka dots. I want to try this diaper soooo badly. We have all prints except Blackbird, so I must have it! I love Hoot, Blackbird, and Scottish Storm/Blue Argyle…I can’t pick one! !